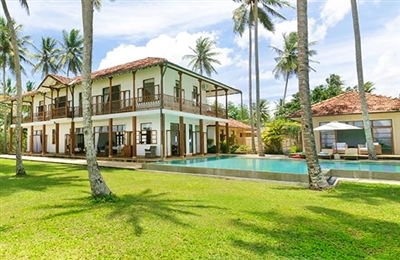 Villa Pooja Kanda is located a few kilometres from the beach. It feels well off the beaten track and is extremely tranquil. 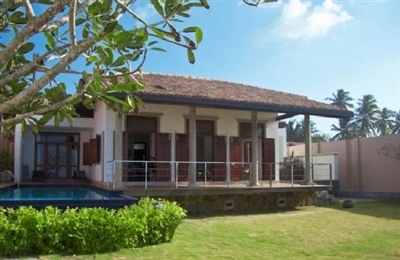 We thought that the villa would suit families very well – there’s certainly enough space for two families travelling together – or a group of friends. The garden will enchant adventurous youngsters and the air-conditioned TV room with its big screen (and good selection of DVDs) will keep them occupied for hours when its time to head inside. The pool (which is enclosed by timber fencing) reflects its natural setting; built amongst the surrounding boulders and incorporating a little waterfall. 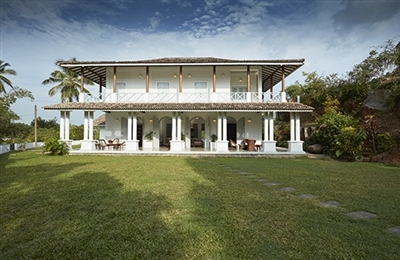 Since our first inspection in 2010, Villa Pooja Kanda has had quite a facelift. All the bedrooms now boast four-poster beds and vibrant soft furnishings. The first floor bathrooms have been refurbished and, like those on the ground floor, are now finished in smooth cement, making them feel much more up to date. The villa is filled with some lovely colonial antique furniture, and a good stock of books in various locations make it feel more homely. 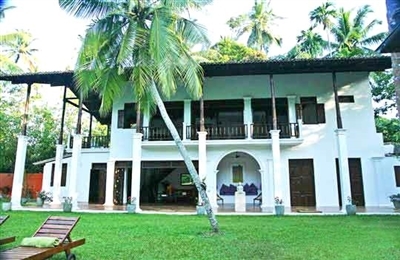 In 2015 the villa’s formerly jungly garden was severely cut back and this has opened up views of the lush surrounding countryside, as well as improved airflow. The efficient management team drops into the villa daily – or on request, and the management company’s office is just at the foot of the hill, out of sight of the main house. If you’d like to eat out, there are a few good restaurants within a 10-15 minute drive. If you need an extra bed, two can be arranged for kids for no extra charge (note: these are mattresses with mosquito nets).